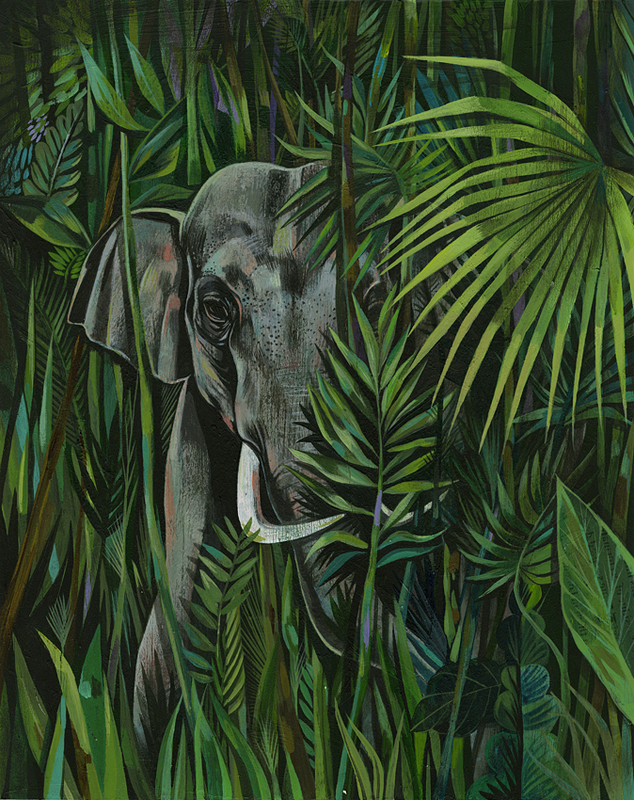 We are pleased to reveal Olaf Hajek‘s beautiful cover for young author Tania James’ book ‘The Tusk That Did The Damage’. This book is a beautiful and powerful novel set in India. It follows the story of a young elephant whose mother is killed by poachers and becomes rogue. The story begs questions – can animals feel and react to trauma? Do we, as humans, even have the vocabulary to understand an animal’s experience? The brief for Olaf was to paint an image of an Indian elephant, but with a more unusual and creative use of colour and crop. They above all wanted to give the viewer a sense of strength (and menace) from the elephant. We are absolutely delighted with the resulting image, and the author commented: “I am deeply in love with this cover. It’s my dream design, if my dreams were half as creative as Olaf Hajek”.